There are more than 6,000 accounts receivable management organizations in the United States, but our clients tell us that we stand out above the crowd. Our focus is on your needs and the relationships that exist between you and your customers. First, our people. It all starts here! Our collection personnel are our greatest asset. All new hires receive over 85 hours of initial training at Sunrise Family of Companies University (SFCU). This is our very own, one-of-a-kind, training program modeled after a university curriculum by collection professionals with over 35 years of industry experience. The commitment does not stop here. Additional electives, as well as required courses, are offered weekly. The ultimate goal and reward is to provide our employees with the knowledge, skills, and qualities required to be successful in the constantly changing world of credit and collections.. By completing the entire program, over 175 hours of course work, our collection professionals are awarded a Certified Degree from SFCU. This sets them and Sunrise Credit Services apart from the competition! Select an executive above to view their profile. We don't provide a set of prepackaged, off-the-shelf services. Rather we meet with you and your staff to determine how we can best function as an extension of your company. Our focus is on your needs and the relationships that exist between you and your customers. We combine our broad perspective of the entire credit and accounts receivables process with an intensely customer-centric business philosophy. You'll find that our services are professional and efficient, and that we are a very easy firm to do business with. The hands-on leadership and values-oriented management style of the Doane family sets high standards for performance and an unequivocal commitment to integrity. The only way to maintain quality is to control it first hand. All of our services are provided by Sunrise employees based here in the United States. Our 40,000-square-foot facility houses all of our operations. There are no branch offices or subsidiary locations... just closer management control and consistently superior service. The inherent cost-efficiencies of our centralized facility allow us to reinvest a greater portion of our revenues into the latest technologies. When we speak of customized programs we mean exactly that. As a full-service agency we have the resources to handle projects of any scale, from providing temporary backup for your own capabilities or as an ongoing, outsourcing solution. Through our sister companies, NetTel USA and Sunrise Capital Management, we can also help you meet your customer relationship management and funding goals with a truly comprehensive suite of services. 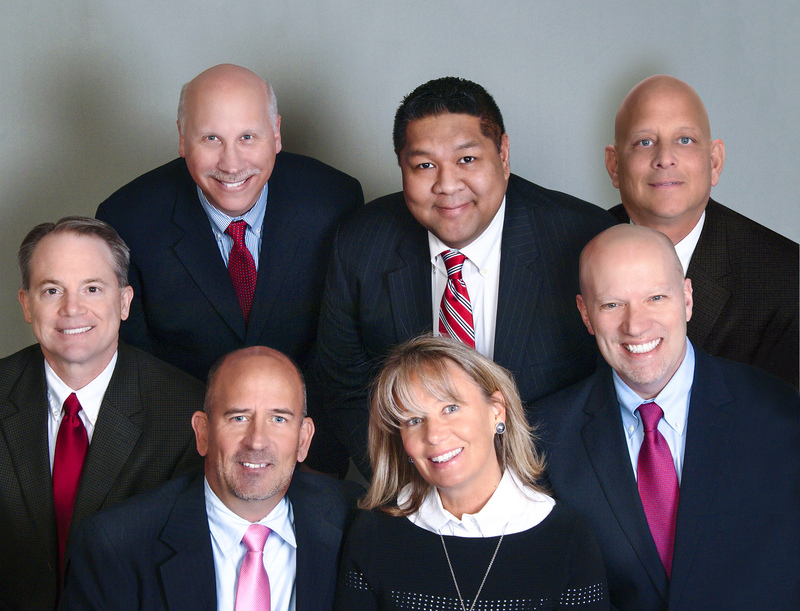 Sunrise Credit Services, Inc. has been incorporated in the State of New York since 1975. We offer a wide range of credit & accounts receivables management services to credit grantors from coast to coast. SCS employs over 500 representatives and staff. Our growth has been due to our "client comes first" philosophy, and our concentration on: Quality Client Services, Controlled Growth, Cutting Edge Technology and a clear understanding of the entire credit and account receivables process. 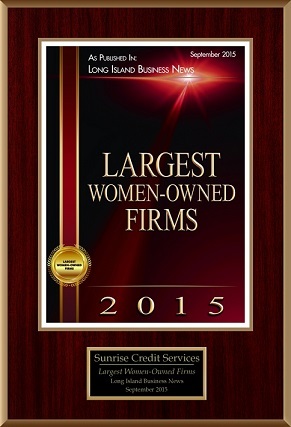 Sunrise Credit Services, Inc. is located in a 40,000 square foot facility in Farmingdale NY. This single centralized office allows us to maintain a level of internal control that simply cannot be achieved by larger "branch office" operations. Because a centralized operation is more cost-effective, we are able to invest a greater portion of our revenues back into the account receivable process. The result is better support, better training, more hands on management, and better account receivable tools. Unlike many organizations, we have no interest in meeting for the purpose of giving you a "canned" sales pitch. We are interested however, in meeting you and your staff, to find out how we can help to improve your customer experience. By gaining a clear understanding of what you are looking for in an organization, we can design a customized program to give you exactly the kind of service that best fits you and your company. We are in the service business. Our clients will tell you that our focus is always on their needs. As a Sunrise client, not only will you receive our best efforts, but also you will find we are extremely "user friendly" to do business with on a day to day basis; from our family owner-managers, to our exemplary staff. Ben's primary responsibility is to work with, and advise management on all business related legal questions and to address any legal issues on an ongoing basis in the day to day operation of the Sunrise Family of Companies. He is very involved in managing the operation and the staff providing guidance and judgment in all areas. Ben also protects Sunrise's interests in all business and regulatory dealings. Additionally, Ben manages the Compliance and Administrative Services Departments. He also created all policies and procedures and insures compliance with contractual and legal requirements at all levels of the company. Ben advises senior management on all personnel related issues, manages outside litigation counsel and ensures licensure and legal compliance in the heavily regulated financial services industry. He is also responsible for responding to complaints, inquiries and negotiation and drafting of all agreements for the Sunrise Family of Companies. Finally, Ben works directly with our clients on various issues and is a recognized guest speaker at various industry trade shows. Prior to joining Sunrise, Ben was an experienced litigation attorney having worked for the government as a county attorney, and then a large private business law firm. He received his BS degree from Cornell University and Juris Doctor from Touro College. He has been admitted to practice law in NY and CT.
Doug manages and develops the financial well-being of Sunrise Credit Services by providing financial projections and accounting services; preparing growth plans; directing staff. Doug reports directly to our Chief Executive Officer (CEO), Diane Doane and directly assists on all strategic and tactical matters as they relate to budget management, cost benefit analysis, forecasting needs and the securing of new funding. John started with Sunrise Credit Services in 1992 as a part-time collector. He transitioned to the Information Technology department, where he has performed every job role/function. From IT Coordinator to Network Administrator, to Database Administrator, John continually provides solutions for all of the necessary requirements that all departments bring to him. Over the last 10 years john has assembled key people in his department to compliment the team. John is responsible for all I.T. related components of Sunrise Credit Services. John is also responsible for the daily inbound and outbound electronic interfaces for all of our clients. John also continues to improve our efficiency within the company, automating manually assisted computer tasks to non-production hours. Diane Doane-Plowman has worked at Sunrise since its opening in a variety of roles. In 1984, she became the Director of Sales and her impact on the sales process and the growth of Sunrise's business has been consistent ever since. In 1990, Ms. Doane ascended to the title of VP Sales and Marketing. This began Sunrise's steady growth into the industry leader it is today. In 2001, after her years of steady contributions in all areas of the business, Ms. Doane became Executive VP and shareholder in the company. Finally, in 2013, Ms. Doane acquired the majority of Sunrise stock and was elected to CEO by Sunrise's Board of Directors. A well-deserved honor that reflected her years of commitment to all areas of the Sunrise Family of Companies. Sunrise has since been certified as a Women Owned Business Enterprise by the Women's Business Enterprise National Council (WBENC). In addition to her many successes in the sales area for Sunrise, Ms. Doane has a great deal of operational prowess. She created and personally managed Sunrise's Special Project Department which provided ad hoc services for Sunrise's corporate clients, from customer service support to payment reminder calls and the like. This area of the business thrived and was later spun off into a sister-company to Sunrise called NetTel USA, providing outsourced customer service solutions to a variety of its own clients in many industries. Ms. Doane personally developed Sunrise's in-house legal referral department which has grown into one of the most successful attorney networks in the US to help serve Sunrise's clients who litigate their accounts. Reflecting her accomplishments as Sunrise's CEO, Ms. Doane was recently featured in Forbes New York Women in Business, 100 Most Powerful Women based upon her years of contributions to both Sunrise and the receivable management industry as a whole. Throughout her illustrious career, Ms. Doane has also found time to give back to her community through many acts of charity. Just a few of Ms. Doane's contributions to Sunrise's neighboring community include organizing and personally handling annual Toys for Tots and Winter Coat drives for local parishes, as well as dedicating countless hours to the local chapter of The Kiwanis Foundation which helps the needy in our surrounding community. In short, Ms. Doane has committed herself to supporting the community around Sunrise through her hands-on involvement in a variety of charities and organizations. All of her work outside of the business has not diminished her drive and commitment to Sunrise's operation. Under her focused leadership and direction Sunrise continues to be an industry leader committed to the success of its clients. Mr. Doane has over 30 years experience with Sunrise Credit Services. Rick has also been dedicated to the betterment of the collection Industry for just as long. Rick began serving on the New York State Collectors Association board in 1989 and served as their President from 1994-1996. He then started to represent NYSCA nationally serving on ACA Internationals Board of Directors beginning in 1997. Rick has been an active National member since. He has served on numerous committees and Chaired many as well. Rick has received numerous "Most Influential Collection Professionals" over the years by Collection Advisor Magazine for his commitment to Advocacy on Capitol Hill and his general attempts at public relations. In 2007, both Collection Advisor Magazine and ACA International recognized rick with their top awards for his work on national TV advocating the good that the collection industry does. ACA awarded Rick their "Member of the Year" award while Collection Advisor awarded the similar "Person of the Year". In 2013, Rick was voted "President Elect" by the board of ACA International and is looking forward to July 2014 when he will take over as President of the Industry. Joe has been with Sunrise Credit Services since 1989. He was promoted to Executive Vice President in 1996 and is currently a minority owner of SCS. His involvement at Sunrise does not end with the sales process but extends to the internal operation as well. He oversees all client services and new client integration. In addition, he is instrumental in the day-to-day decision-making and management of Sunrise. David began his career at age 17 working administrative tasks through High School and summers during college. After college, David accepted a Full Time position. David has worked in all aspects of Call Center operations, from hiring and training, trust and data analysis and now in his current position of Executive Vice President. David is responsible for all quality metrics and performance measures at The Sunrise Family of Companies. David will also participate in Sales presentations in conjunction with his counterpart, Executive Vice President Sales, Joseph Vassar. Joseph will consult and advise in Operations strategy and execution. This teamwork has produced some of the finest Call Center service in the country. Mr. and Mrs. Doane started Sunrise Credit Services Inc. in October 1974. Mr. Doane began his career with the W.T. Grant Company in the 1950’s and worked his way up in the organization through his tenure to the eventual title of National Credit Director with a responsibility of over 6000 employees throughout the United States. In 1974, along with his wife June Doane, they founded Sunrise Credit Services, Inc. in Massapequa NY. Mrs. Doane, with an accounting and bookkeeping degree and background, acted as the companies Secretary/Treasurer until her unfortunate passing in 2013. Through the years, the company has grown to be one of the leading Accounts Receivable Management Companies in the United States. Mr. Doane was CEO/President throughout its growth. His day to day management and leadership developed many valued current staff and client relationships. Currently, their daughter, Diane Doane is the CEO and their son, Richard G. Doane is the President of Sunrise Credit Services, Inc. Sunrise, while now a 600 plus employee organization, is still a privately held company that has maintained its growth, success and leadership from the lessons learned from its founders.